This Instant Easel are Tough Enough to Withstand Frequent Travel! The Presentation Holder is Crafted from Metal to Last in Any Environment! 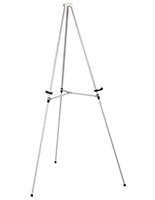 Get This Instant Easel Shipped Fast While Paying Low, Wholesale Prices! Metal tubing is connected by a bungee cord to facilitate quick assembly and portability. Supports up to 5 lbs, ideal for lightweight poster frames or presentation boards. Plastic support arms clamp to legs during transport. This is a 61" high instant easel. This is perfect for traveling to meetings, sales calls and tradeshows. Each instant easel is lightweight and can be folded neatly into a briefcase. 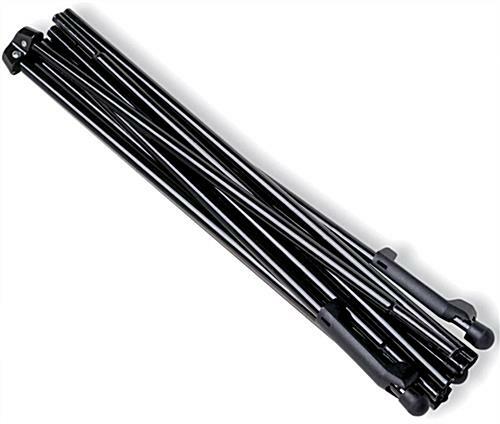 This tripod is constructed of a sturdy, black tubular metal, and can support up to 5 lbs. 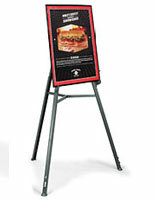 This instant easel features clips that support a sign, slide up and down, and extend out 3". These clips allow exhibitors to customize how high the poster will sit, and also allows for accommodating various sized signage or artwork. 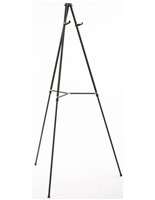 Use this instant easel to display a poster board or other lightweight signs to announce a meeting or special event. 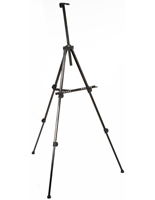 The basic design of this tripod is easy to work with and requires no additional tools or accessories to set up. 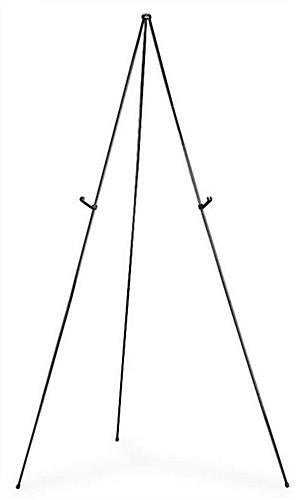 When fully open, the legs on this instant easel are a max of 47-1/2" apart at the base. The supports can be positioned anywhere from the max width at the bottom all the way up to 3" inches apart at the very top of the unit. 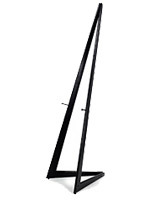 When knocked down, this instant easel is 24" long x 3-1/2" wide x 3-1/2" deep. The legs collapse much like a walking stick. 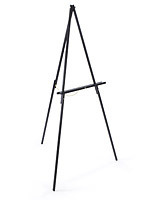 Please note that we emphasize this instant easel is designed for lightweight use only. 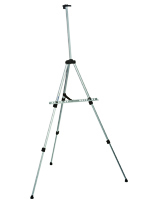 For more durable tripod options, please see related products. 3.5" x 24.0" x 3.5"